Ploughing of small area soil or between vineyards. Also used to soften soil for digging long trenches. 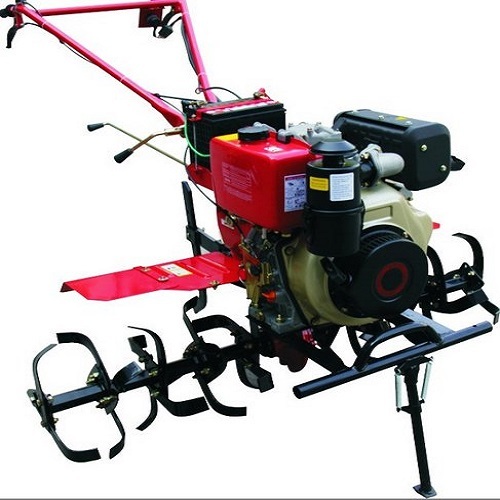 The plough is operated by a single operator and moves forward by itself. The operator stabilises and steers the plough in the general direction. It is equipped with a clutch system which disengages when the operator releases the trigger.